The “Cert” follows one of my guiding life principles—Invest in Yourself! Many of our students indeed come from the professional ranks in medicine, health, fitness, and life coaching professions, and are leveraging their Primal education into true business momentum. 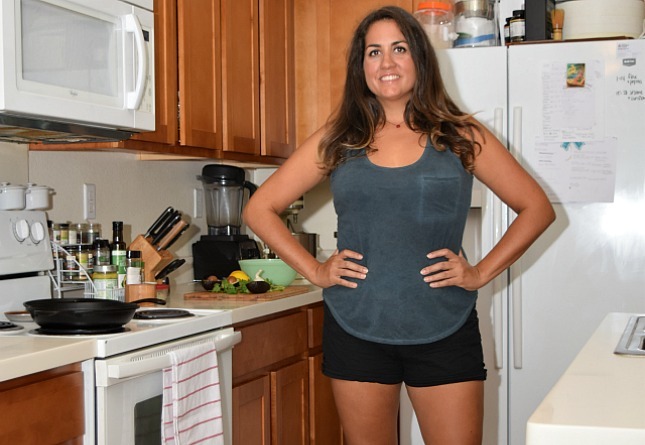 Check out Elle Russ’s operation, which has really taken off following her graduation and appearance on the Primal Blueprint Podcast. Many more have taken on the Expert Certification challenge purely for personal growth, or as a stepping-stone to an aspired career change in the future. I want you to meet some of them and learn their stories, so we’ve profiled a select group of Cert graduates with interesting and inspiring messages in this post. One of the most empowering things about the Cert is that we can publish fresh, continually updated content with the click of a button. In the book publishing business, frustration arises when you reflect on your published matter and wish you could say things differently, or elaborate on a concept that many people told you was confusing. Heck, I even want to change the cover of The Primal Connection, because as artistic and symbolic as it is, it seems like many people fail to make the “connection” to The Primal Blueprint—pardon the pun. As an aside, and speaking of the daunting task of updating and revising published material; I’m doing just that with The Primal Blueprint for 2015. Realize that I started writing this thing in 2008(! ), which is an eternity in the burgeoning field of ancestral health. My team and I did some basic revisions and enhancements when we converted to paperback in 2011, but now it’s time for a comprehensive updated, enhanced, and revised edition in 2015. While much of the message and prose in the original manuscript is still spot on, there is an assortment of topics like gut health, creating a dynamic workplace, and heart rate variability to track stress and exercise recovery that weren’t really on the radar when the book first came out. Furthermore, thanks to you guys at MDA and the many prominent, passionate thought leaders in the movement, I’ve been inspired to rethink and revise my position on some core topics since the original Primal Blueprint came out. 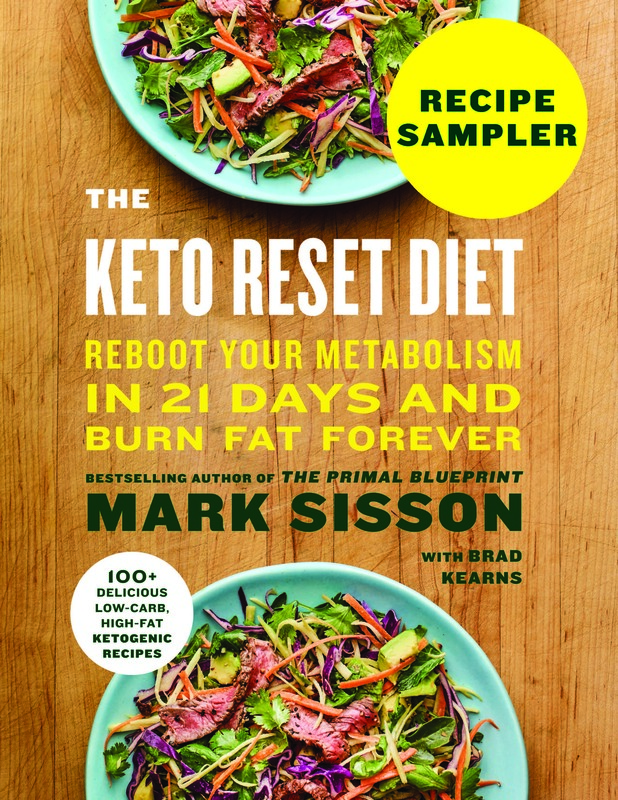 I am going all-out on this “new and improved PB” project to the extent that when the 2015 Primal Blueprint is released, I will be able to sincerely assert that everyone who read the original edition must update their library with the new one! For instance, I’ve completely revised my stance on alcohol, which The Primal Blueprint originally categorized (red wine specifically) as a “sensible indulgence.” After reading new research about alcohol’s potentially negative effect on gut health and fat metabolism, and after conducting an n=1 abstention experiment with favorable results, I’ve revised my position on alcohol—yes, even red wine. The Expert Certification course goes into extensive detail on the alcohol topic and represents my latest, greatest take on the subject. Hint: there are better ways to manage stress, and if you are struggling to drop excess body fat, alcohol can be one of your first factors to blame for stalled progress. I believe heart rate variability is the greatest innovation to help athletes monitor stress, recovery, overtraining, and fitness progress since the advent of the wireless heart rate monitor in the mid 80s. It’s seriously cool stuff that I’ve delved deeper and deeper into only in the past six months. Well, the extensive discussion of HRV in the Cert course again represents my latest take on this topic, and I can go on and on with other topics. In fact, since the launch of the Cert course in late August, my research team and I have processed 27 significant revisions to the original course material. Death By Food Pyramid author Denise Minger, now part of our staff as well as a member of the Expert Certification Advisory Board, did some tremendous work in Module #6, “Fat and Cholesterol Are Not Your Enemy.” Our software designer, the amazing Justin Miller, finally saw the light and trained our in-house staff to make live revisions into the sophisticated course and examination software! As for the examination questions, user feedback and chop-busting has resulted in literally dozens of revisions or entirely replaced questions since the original launch. It’s good fun, and it represents great progress from the staid old days of that static set of Encyclopedia Britannica—representing the ultimate collection of knowledge and information available anywhere on the planet (I wonder if that company even exists anymore? Hmm, let me Google them and find out!). We’re also in the process of adding several dozen audio enhancements to the live course. These are short “sound bites” that you can hear by clicking on a play button icon that appears frequently throughout the written text. You can enjoy some “unplugged” enrichment or more emphatic explanation of the message presented in writing. These sound bites, recorded by Certification Program coordinator Brad Kearns, are an attempt to diversify the educational experience for enhanced interest and retention of the material, and also to achieve maximum effectiveness with people of assorted dominant learning modalities. On that note, I want to give you a heads up that our current introductory price of $795 will end on December 15th, and the Expert Certification program enrollment fee will become $995. We really appreciate the contribution and support of our early adopters, and I also appreciate the support of MDA readers, so I’m inviting you to take advantage of the introductory price until December 15th. I understand that it’s the holiday season and I’m springing this on you with minimal advance notice, so how does this sound? If you’ve been sitting on the fence thinking about taking the Cert (and thinking even more about the Cert knowing the price is about to rise!) but are sensitive to the budget impact, just make the commitment to become a student right away and we’ll put you on a payment plan over the next four months—locked in at the introductory rate of $795. Some folks have even asked for and been granted a lengthier payment plan, so check in with us with your sincere interest and we’ll make something work for you. Now, without further delay, let’s meet some of our incredible graduates and enjoy their stories. As soon as l saw the advertisement for the Primal Blueprint Expert Certification l knew it was for me. I had spent the past one and a half years rebuilding my health after suffering a chronic illness, and Primal Nutrition played a significant role in my recovery. I had recently completed a general nutrition course and was looking for a program that would build on the knowledge l already had. 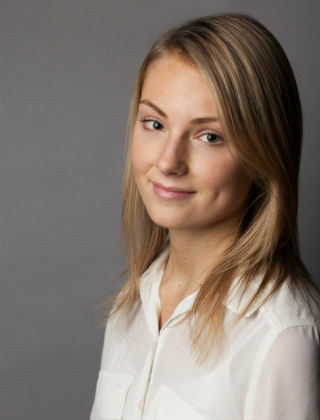 I was absolutely delighted with what the Primal Blueprint had to offer and found the course incredibly stimulating. I appreciated the very high standards expected and challenged myself to do well in the tests, where a pass was a high 75%. I enjoyed the content of the program and thought it was an exceptional value, as there were numerous free digital resources included upon enrollment, such as books and videos. And, on completion, an exciting box arrived from Primal Blueprint headquarters filled with congratulatory gifts such as books, an excellent t-shirt, and a certificate that l proudly display on my office wall. 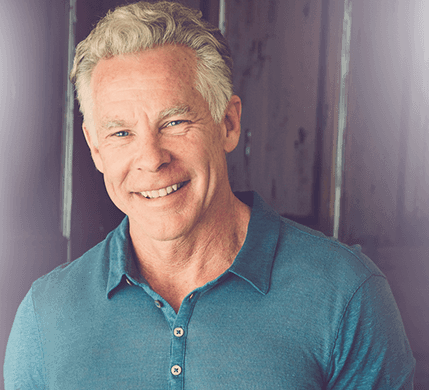 Mark Sisson’s story of being at the top of his profession yet having so many health problems really hit home with me because (before becoming unwell) l was a chronic exerciser and was told by so many doctors that l was fine. 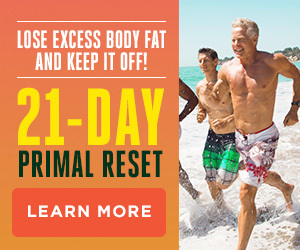 I think Mark Sisson is an inspiring person and admire his commitment to health as a top priority in his life and found the Cert to be a real drawcard in wanting to become more involved with the Primal Blueprint. I have listened to Mark speak on numerous podcasts and admire his intelligence, honesty, and ability to reflect on his own life. This professionalism underpins the Primal Blueprint organization, which has supported me both throughout the course and also on completion with prompt and friendly communication. I feel part of the Primal Blueprint team and family now, as l am one of a select few who has completed this life-changing program. I really believe in the concepts that underpin the Primal Blueprint and want to share the message that we can promote positive gene expression in our bodies through nutrition and lifestyle. I reflect on my own life and the lives of those around me and feel that we have lost our way in this modern world. 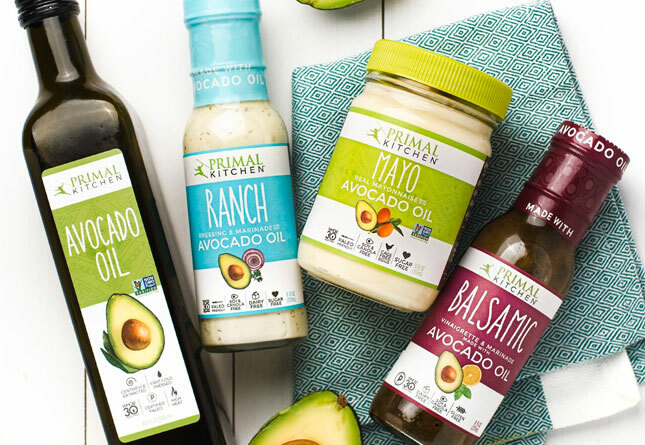 The Primal Blueprint can help to simplify daily living by promoting healthy food and lifestyle choices that suit our genetic makeup. I now have the knowledge to enhance my own life and also incorporate the Primal Blueprint philosophies into my nutrition and wellness coaching business. On completion of the course, graduates are generously offered the use of particular Primal Blueprint logos, which l am using on social media and on my website at www.holisticwellnessforlife.com. I am now planning to run a 12-week group program where l share what l have learned to those living in my local community. Completing the Primal Blueprint Expert Certification has been an amazing experience and is the start of a wonderful journey. The Primal Blueprint Expert Certification is by far the greatest source of information for anyone who wants to go up and beyond the preconceived boundaries of today’s modern life. Whether interested in sports, food, the human body, or how other aspects of life such as technology, sunlight, and sleep affect us, the Primal Blueprint has got you covered. Due to chronic Lyme disease, I am not yet healthy enough to tackle the schedule of college courses. Therefore, when I heard about the Primal Blueprint Expert Certification, I was ecstatic. With no due dates or specific class times, I was able to learn at my own pace, without the stress of missing an assignment. Not only that, but I was able to study anywhere, whether in the car, at a doctor’s appointment, or from the comfort of my own bed. Sitting down every day and diving into what the course had to teach me was challenging, yet very exciting and fun. I could not wait to finish each module, simply for the reason that I wanted to go on to the next and learn more. Because chronic Lyme disease is very misunderstood, I have taken on the responsibility of researching information about health and the human body. That being said, though I spend numerous hours researching in-depth, scientific information, the Primal Blueprint Expert Certification still presented me with information that I had yet to learn. However, it is not to say that it was overwhelming, as Mark Sisson always breaks it down in a way that is applicable to any stage of life. One of the most influential aspects of the course was learning about how our bodies prefer fat to carbohydrates for energy and life. I also was filled with information that I will be able to apply once I have healed from Lyme, such as finding true peak fitness, as well as how easy, enjoyable, and beneficial exercise was meant (and easily can) be. We are born being told lie after lie, yet by taking the Primal Blueprint Expert Certification, the weight of this conventional dogma has been lifted off my shoulders. Instead of the world being a difficult and seemingly impossible place to live in, I now see exercise, play, sleeping, family, friends, and even my own body, in a whole new light. Ultimately, it gave me the confidence and the hope that, yes, I can beat the seemingly incurable chronic Lyme disease. 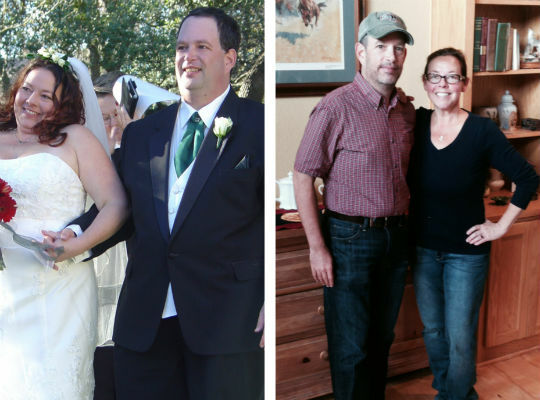 After using the resources on Mark’s Daily Apple to transform the health of myself and my first two “clients,” my wife and daughter, Primal living has become a true passion of mine. Because of this, I decided to pursue the Certification to solidify and deepen my understanding of the science behind Primal transformations and how to best convey and apply this understanding to others. I did this with the intent to help blossom my passion to avocation and then possibly vocation in Primal living. The course met and exceeded my expectations. First, it is extremely easy to use on any computer or tablet. Each module contains an introduction/overview video by Mark himself, followed by very well-written content that was clearly based on the most current and best understood Primal nutrition, life, and exercise information available. Each module is finished by a “Coaching Your Client” section, which has useful suggestions on how to convey and apply the information to yourself, family, friends, or clients. Although I felt I was a well-informed layperson on the material, every module contained new information for me. The test questions were fair and representative of both broad and detailed aspects of each module. I found the Five Action Item modules very useful personally, as they have helped increase the efficiency and benefits of my exercise routine and helped me make even better informed nutrition decisions. There is also a wealth of resources you get from the course. You get PDFs, audio books, and two complete video presentations to enjoy right away while taking the course. Then, once the course is completed, you get a lot of useful Primal “swag” to enjoy. This includes hard copies of the 21-Day Total Body Transformation and the 90 Day Journal you can share with family or clients. Plus, you get significant ongoing discounts to Primal supplements and apparel. You also have an opportunity to join a Facebook group of Primal Certified Experts, which I have found to be very helpful and informative. There is a lot of good sharing that takes place there. The Certification has given me more confidence and credibility with which to give public lectures, and will no doubt continue to open up doors to grow my Primal passion into larger and more significant projects. I am not a professional trainer or medical professional, but the course has hands down been worth it on practical levels for me and my family, helping us take our health and strength to new levels. Plus, it is giving me opportunities to further my passion into fun and fulfilling projects. Why, oh why, would I give all that up, you ask? It wasn’t my plan. It started at a luncheon for hospice. I came hungry—knowing me, probably even “hangry.” And guess what was on the table? Well, there was a breadbasket, a weak green salad topped with a grilled chicken breast, and chocolate cake. It was practically a social experiment! What was a vegetarian to do? I could have demolished the breadbasket and the wimpy little offering of lettuce… oh, and the chocolate cake, of course. And I would have felt “morally satisfied” for sticking to my sixteen-year history of “being a vegetarian.” But I realized that the only thing that looked substantial and healthy was that grilled chicken breast. So…I ate it (and the wimpy greens, of course)! I was immediately changed. I had missed this—this feeling of wholesome fullness. That night I went home and researched. The Tofurky I had been eating with a misguided halo over my head was not easily classified as animal, mineral, or vegetable. Ugh! After tooling around the Internet, I found the goldmine that is Mark’s Daily Apple. And I ordered the goldmine that is the book The Primal Blueprint. I have not looked back. I am healthy. I have incredible strength and muscle tone. I am happy. My shoulder and back pain are GONE! I sleep like a baby! I am not beholden to my appetite. I am FULL in every sense of the word! And then came the offer to become a Primal Blueprint Certified Expert. This was the cherry on top. Through the program, I have been equipped with both hot-off-the-press science regarding nutrition and fitness as well as the history of how we evolved as a species. I have the confidence to navigate my world. And I have been able to assist others in their Primal journeys! I have a client that has already lost 21 pounds and another that has lost 10. And it’s not only about what’s been lost, but it’s also about what they’ve gained: energy, better sleep, more stable moods… the list goes on. I am so grateful for Mark’s Daily Apple and for the Primal Blueprint Certified Expert program for CHANGING MY LIFE! I can’t stress it enough. I’m over the moon! Thank you to ALL who have made this program possible. These experts have a (private) Facebook page that is blowing up with great exchange of opinion, entertainment, and education, and Elle Russ and Mike DiLandro are formulating plans to publish a regular podcast just for certified experts. A couple more things: Seth Godin asserts that 98% of people who commence an online education self-study course fail to complete it. The reason attributed is that starting a course is fun and inspiring, while finishing a course is hard work. This is a disturbing concept to absorb now that my company is in the online education business. This concept is an affront to my personal and business values, and we are going to do everything we can to ensure you have an enjoyable journey as a student and a successful completion of the program. Candidly, our commitment to student support has resulted in a handful of full refunds to students who entered the course, and despite our sincere one-on-one support efforts (spearheaded by our exceptional Daniel Rinck, a recent UCLA philosophy grad who is quickly bonding with many of our students for his timely and insightful support on anything and everything they need during their course of study), determined it was not a good fit. Last, we have decided to conduct a monthly webinar for Cert students and grads, hosted by Brad Kearns and featuring occasional expert guests. There will be some group support and feedback exchanged with a focus on studying tips, motivation, discipline, sensible pacing, and other success factors that great students embody—even in the face of the busy, multifaceted life you are likely leading. Thanks for your interest, and I look forward to seeing you on our directory of Primal Blueprint Certified Experts! < Previous postWhat’s Behind the Mind-Body Connection? Thanks for the payment plan option…I just signed up! How do you select the payment plan option? I don’t see it when I go to checkout. I loved Candice Mitchell’s story. Thanks. I accidently ran over a wild Tofurkey driving home yesterday. Thought they were extinct! I’m not a health or fitness professional however I see the benefit of this information for personal commitment to the primal lifestyle and it’s benefits. It would be nice to have an option to purchase each module individually and only get the credentials and perks upon completion of the full complement of modules. I think this would get a significant group of fence sitters like me to sign up. Looking forward to seeing the new Primal Blueprint book. Thank you for all the research you do. 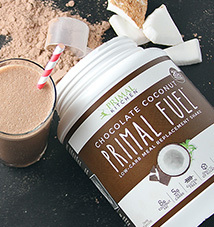 Is there a ETA for the “2015 New and Improved Primal Blueprint”? Can’t wait to do it myself – waiting until next black Friday so I can storm in to MDA HQ and snag it for cheaper. 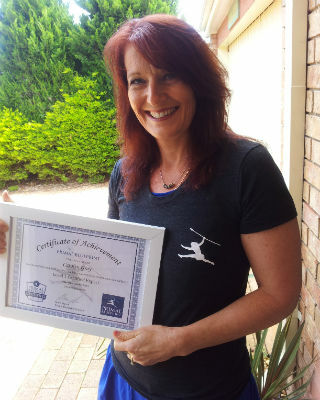 So enjoyed–and benefitted from–the Primal Blueprint Cert Program. It provided a wealth of information in a well-organized, clear, succinct, immediately applicable way (for self and patients). Proved an excellent complement to my medical practice, which focuses on weight, diet and digestion. Highly recommended! I’ve always felt the Primal Blueprint fit into my lifestyle better because it allowed red wine. I know it isn’t truly paleo, but I won’t give up my small glass with dinner. 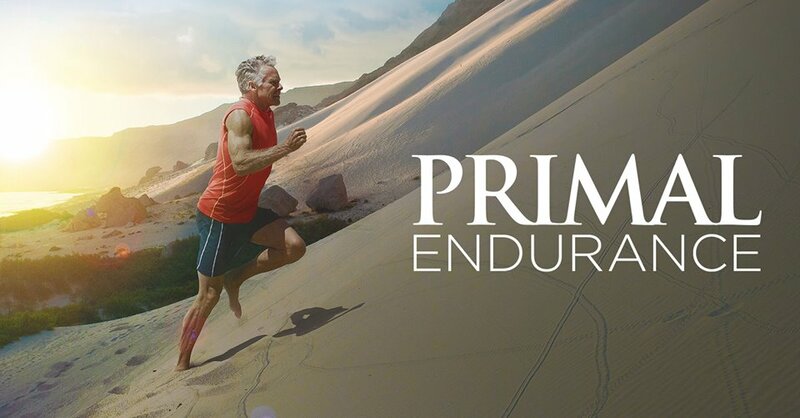 I’m a big fan and proponent of MDA and will likely add the Primal Blueprint to my list of certs for my weight loss counseling services, but I’m a bit disappointed that the usual friday inspirational stories were usurped for marketing the new program. 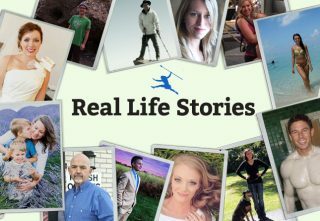 I look forward to reading people’s stories every week of how they changed their lives through Paleo and Primal living. And when you compare the number of comments for this post to the number of comments on other friday posts, you can’t help but notice that the people moved to join the discussion today is much smaller than usual. I’m a huge fan and supporter and will continue to be, but personally I would prefer to read one of the many wonderfully inspiring transformational stories that are a mainstay for so many of us every week. ^this. I was also disappointed to find the friday success story replaced by the certification promo. Two for next week? I just graduated from this course last week. Deciding to take this course was one of the best things I have done for myself. I thoroughly enjoyed the course and wholeheartedly recommend it to anyone who is still on the fence! Its a challenging course but in a good way…having been out of school for some 20+ years it was challenging to get back into the habit of studying but it didn’t take long for me to get back into the groove! I am thrilled to hear that there will be webinars and podcasts available soon! Thanks Mark and Primal Blueprint Cert. crew!